1 – It is very difficult to machine SS316L, can you promise the quality consistent? Answer: we manufacture stainless steel push in fittings strictly as ISO9001:2008 system. With the help of automatic CNC lines and Japan engineer, we can control the tolerances of critical dimensions. Meanwhile, we have digital screen to inspect the dimensions. 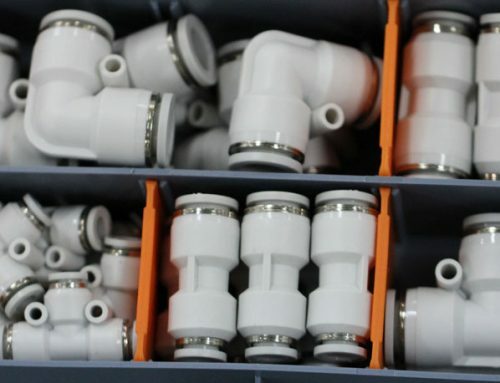 After install fittings, we will test all the fitting one by one to make sure all is OK.
2 – We use the fittings in corrision fluid, can you promise 100% no leakage, how to promise? Answer: Seal material comes from Japan. We use V-shape FKM seals instead of O-ring, which perfectly fit the tubes inserted and avoid any leaking when you bend the tubes. Two O-ring design makes our swivel system more durable than o-ring, longer life span. 3 – Which factors decides the fittings are great? 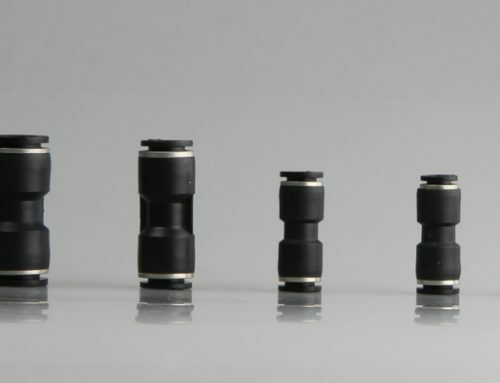 4 – Can you custom the fittings for me? Answer: we are honor to custom any plastic or metal parts for you. We provide extra service of making drawing of CAD or 3D.